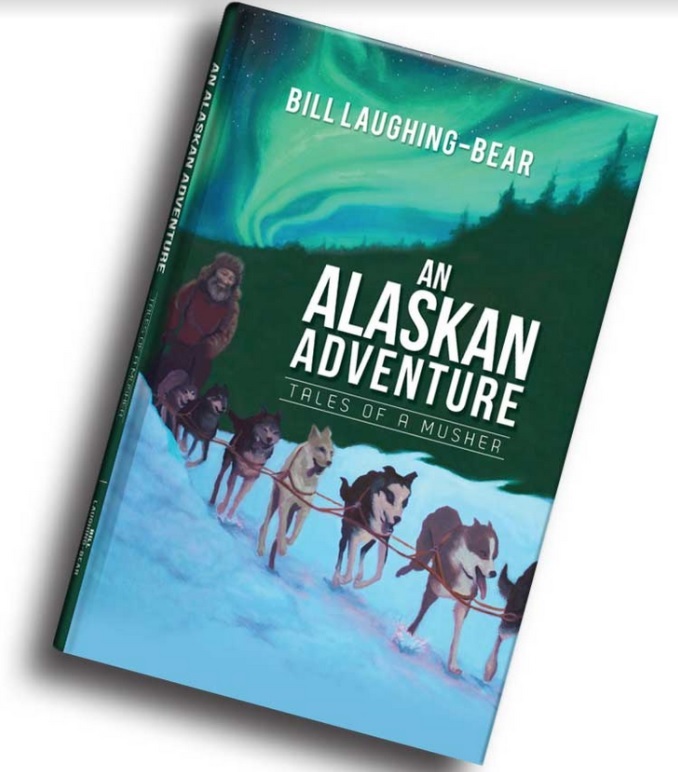 Right, Bill Laughing Bear enjoying his beloved Alaska. 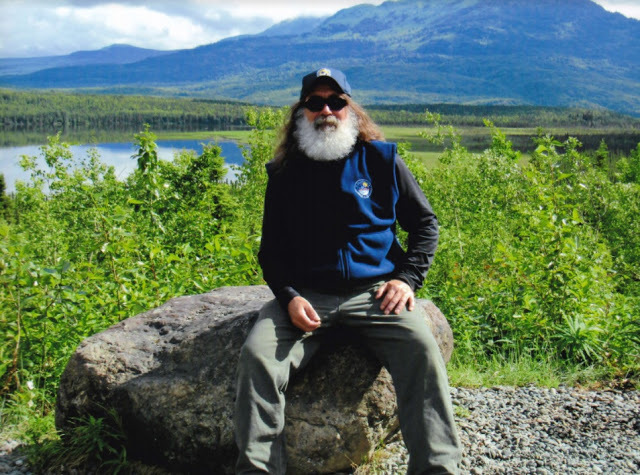 Bill Laughing Bear our dear friend from Alaska continues his groundbreaking research on EMF's (Electromotive force) and it's powerful negativity on our health. His new email posted below shows his findings after two more musher dogs have died of cancer. EMF is the electrical intensity or "pressure" developed by a source of electrical energy such as a battery or generator. A device that converts other forms of energy into electrical energy (a "transducer") provides an EMF at its output. In his research, Bill, who works with professional dog mushing teams in Alaska found 13 of the dogs died of different kinds of cancers over a short period of time and now in his email below another two dogs have died. He reports his findings in a clear and easy to understand way as he leaves no stone unturned in his quest to inform the world of DIRTY ELECTRIC, EMF and Electrosmog the disease of our 21st-century civilisation which is now thought to be responsible for causing cancer, cardiovascular disease, diabetes, and suicides around the world. Last night I got a call from a musher I know who had 2 more dogs die. One, for sure, had cancer according to the veterinarian. The same kennel has 3 other dogs that are suffering health problems. One is getting lumps underneath his gums, and two others are having small tumors/growths on other areas of their bodies. This dog yard feeds top quality kibble, quality water, minerals and supplements are used when needed and they receive regular vet visits. This is the same kennel I mentioned that had lost 13 dogs due to cancer, after the smart meter was installed. I lay in bed pondering this kennel and its’ health problems and was struck with a thought. This kennel, like mine, does not chain up their dogs. They free run behind high wire fences. As I have stated earlier, metals are known to transfer Electrosmog. Not only are the dogs close to the smart meter that puts out high frequency radiation, but also the kennel is wired for lights, which are a conduit for dirty electricity, and gauss, which is a magnetic field. It dawned on me that with all of this metal, not only were the dogs being bombarded by the radiation from the smart meter, they were living behind fences in an antenna cage. So I thought I would do some testing of my own. When I built my cabin years ago I built the walls one foot thick. To protect from forest fires, I covered the roof and sides in metal. Though I choose to live off-grid, quite a distance from my cabin is a small post with a smart meter and a breaker. I can turn on electrical services to the cabin if I so choose, which I do NOT choose. Even with the power off, according to my professional meters, my smart meter sends out a pulse every twelve (12) seconds of radiation that I can read from inside my cabin. Dirty electricity broadcasts a minimum of five (5) feet out from the walls. Knowing this, I put a tape measure on the floor five feet from the wall. Mind you, there is very little wiring in this cabin and it was originally added so that in case it was ever sold, it would be easier to sell. I hooked up a body voltage meter and at the five-foot mark, while standing on a grounding mat, measured my body’s voltage at .004 volts. I then took a reading, still grounded, as close to the wall as I could get, and my body’s voltage read at 0.13 volts. Then I went out to the road and flipped on the power source to the cabin. Coming back to the five-foot mark, ungrounded, my body measured 2.36 volts. Getting as close as I could to the wall, still ungrounded, my body measured 7.31 volts. I plugged in a meter that reads dirty electricity. It had a reading of a low 269 gauss with a high of 281, bouncing between the two numbers. As stated before, for safety, many countries around the world have a limit of 50 gauss. When you go over 30 gauss the electricity is absorbed internally into the human body. Energy absorbs into the human body at 1.7 kHz. The readings of this one receptacle are way below what I find in many working and living environments. And mind you, I have just the one receptacle. I then went outside the cabin and took a volt reading on my metal wall. It read 66 volts. I went back to the breaker and at the breaker I was reading 103 volts and at my meter I was getting a reading of 1432 volts. Flipping the breaker I came back to the house and found the antenna cage, made up of siding and wiring, had pretty much dropped back to the “quiet” zone. I then started a new test. Because a landline is not possible where I live, I have to use a cell phone. I use an old style flip phone that puts out less milligauss and lower non ionizing radiation. Turning the cell phone on and holding it in my hand, which always brings discomfort from the radiation and milligauss, I took a milligauss reading. It read 12.64 milligauss. Whenever cell signal is poor, the cell phones have to work harder to gain signal. Trying to place a phone call inside this metal building, I read 1986 microWatts/cm2. I went out onto the porch, out of the metal cage, so to speak, and placed another call to the same number, and read 1159 microWatts/cm2, a difference of 827 microWatts/cm2. It is noted that at 1 microWatt/cm2, we have sperm and DNA fragmentation and decrease in sperm viability. At this level, one gets headaches, dizziness, irritability, fatigue, weakness, insomnia, chest pain, difficult breathing, and indigestion. At 6 microWatt/cm2, you get DNA damage in cells. This is a good example of why I live off grid and do my best to not make cell phone calls. I am one of the “canaries” in the coal mind and I feel several of these effects. This then makes perfect sense to me why the kennel has lost so many dogs. They are bombarded 24/7, unless on the mushing trail, by electrical pollution that is colorless, odorless, and invisible, bringing a silent death. It is no different with the human race! For those who are searching for answers but are not even sure just what the questions are, as we arm ourselves with knowledge, we can make better and healthier choices for our lives and following generations. A lot of help can be found at the website Less EMF Inc. (www.lessemf.com). The videos mentioned below “Full Signal - The Hidden Cost of Cell Phones” and “Take Back Your Power,” which is investigating the Smart Grid, will explain in detail the documentation I have sent you. There is solid science behind all of this as well as personal experience. Smart meters produce mass amounts of “dirty” electricity and radiation. As an example, not even looking at the radiation, dirty electricity broadcasts 5-6’ out of the walls from the wiring. One of the tests I do is I use a body voltage meter and have the individual stand in the middle of the room. I have them walk toward any of the walls that have wiring in them and they can view their body’s voltage spiralling upwards as they get closer to the walls that are broadcasting electrosmog from the wiring. Doing my testing on those who have wanted to know the ratings of their electronic environment and to learn how they can improve their situation, they have found that having the least amount of metal on their body possible, not having wifi in their home but being directly connected to cable, using shielding, changing light fixtures, choosing electrical devices that have lower gauss readings, and learning to live a little differently have improved health, such as cognitive function, health problems including cancer, behavior problems such as hyper active children, and the list goes on and on. Terra Barton III This angers me to no end!! I have had bad issues with smart meters. And when i moved in apts in 14 I happen to live in the upstairs right next to where about 12 are housed. (for the apts in this building) And there is no getting away from the effects. Usually it's worse about 4-4:30 AM for some reason they must give it a boost. my ears start ringing and the headaches start. I have developed Trigeminal Neuralgia from this crap. And if you aren't familiar it is also called the suicide disease. They say they don't know what causes it and there is not yet a cure. Not even anything that will help relieve the horrific electric shocks that travel from your brain (top of your head) down your face. Thank the Lord mine has been in remission for well over a year. I can feel it coming on and when that happens it is worse than 100 migraines. Mine usually would last about an hour and seem like weeks. I credit my honey and cinnamon to combat it. Maybe not, but something did. Roxie Early So sorry to hear this. move your bed if you can, or just move out. I lived in similar situation and moved after a few months as the problems I was experiencing were killing me. some of my neighbors were going "crazy" and becoming combative. I actually went into the forest and camped for the next 31/2 months. It really helped me to get clear and focused again. The emotional strain was the worst. Hope and pray you get relief. Just do an on-line search for "smart meter-related health complaints." WOW!!! Literally thousands upon thousands!!! I called my public utility to try to opt out of smart meter because I have a pacemaker. Guy who answered me said they don't use EMF that way, they run the readings through the power lines here. He didn't trust it at first but bought a tester and it was right. There was more stuff coming from his microwave and cell phohe. Power neter read zero. Every county could be doing this for every home. I cannot figure out yet what is causing ringing in the ears - it's intense. Might be the new cable box wifi?